RIO GRANDE – The University of Rio Grande and Rio Grande Community College takes pride in the Welsh heritage of Southeastern Ohio. The Madog Center for Welsh Studies on campus strives to preserve this heritage and the Welsh-American connection for future generations in the community and provide students an understanding of its significance to the region. Welsh settlers first came to the area in 1818 from the areas near Cardiganshire, modern Ceredigion County, along the southwest coast of Wales. To commemorate the 200th anniversary of the settlement, the communities around Aberaeron, Wales planned, Cymru-Ohio 2018, to celebrate the connection to southeast Ohio and Welsh-American heritage. 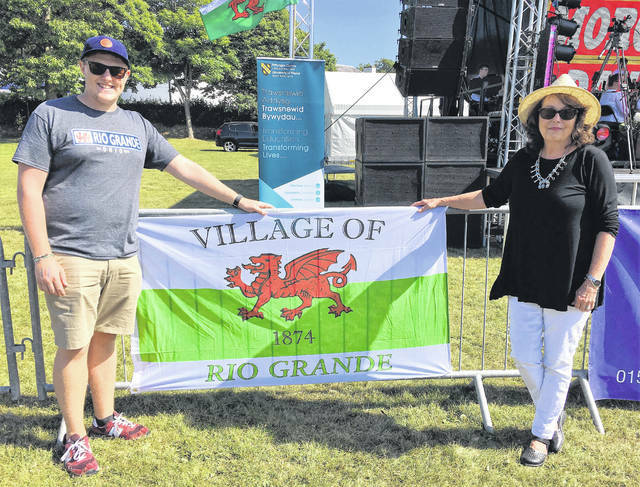 Director of the Madog Center, Jeanne Jones-Jindra, said it was an honor for the Madog Center to represent Rio as well as southeastern Ohio at the festival.